With an auto industry that is filled with choices, one automotive segment has come forward as the most popular pick with drivers who are looking for it all. The compact crossover SUV is a top pick because it offers an impressive amount of versatility and capability as well as outstanding safety protection. Depending on which model you’re looking at, many of them also offer an amazing list of technology features and comfort options to choose from. Two of the top vehicles in the compact crossover SUV segment continue to be the Nissan Rogue and Honda CR-V. Which model is the best choice for your specific driving needs? This side-by-side comparison of the 2019 Nissan Rogue vs 2019 Honda CR-V will help you decide by showing you some of their main differences. Both the 2019 Nissan Rogue and 2019 Honda CR-V have many similarities in this comparison, but one of these vehicles does stand out as a better option when compared to the other. 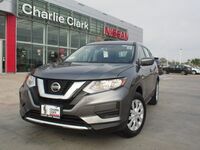 Helping the 2019 Nissan Rogue to give you more value than the Honda CR-V is an impressive list of standard technologies and comfort features. The new Nissan Rogue also offers Nissan Intelligent Mobiity™, a platform that allows you to drive with greater awareness and deliver assistance when you need it. With Nissan’s available ProPILOT Assist, you’ll also be able to drive with less stress on the highway thanks to this technologies ability to follow the car ahead of you at a preset distance and keep you centered in your lane. 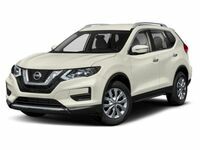 It can also bring your Nissan Rogue to a full stop based on traffic, and get you back up to speed when traffic begins moving again. This amazing technology is not available in the 2019 Honda CR-V.
To learn more about the differences between the 2019 Nissan Rogue and 2019 Honda CR-V, stop by Charlie Clark Nissan in Brownsville, TX or give us a call.